Get ready for one of the most fun games ever made! 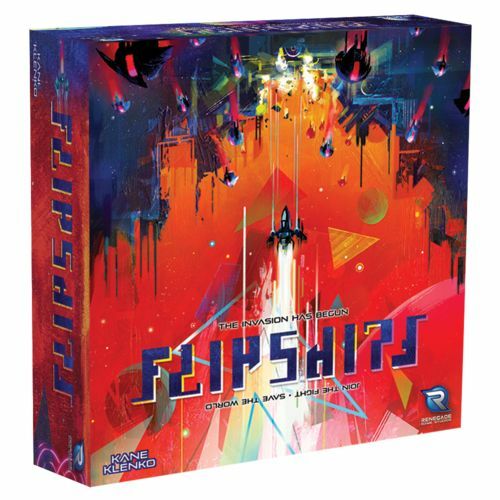 Flip Ships is essentially the classic Space Invaders game turned into a cooperative dexterity game. In Flip Ships you will (wait for it)...flip ships off launch pads to attack the oncoming invaders. Can you destroy all the aliens before the Mothership attacks? The coolest part, flip the box upside down and check out the name!